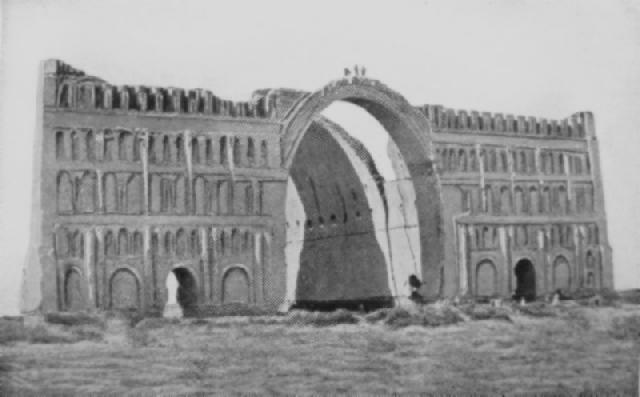 Ctesiphon, fought on 22-25 November 1915 between British and Turkish forces on the Tigris River in Mesopotamia (modern Iraq), only 25 kilometres south-east of Baghdad. After a long but cleverly conducted advance up the Tigris from the Persian Gulf (see Kurna), Major-General Charles Townshend prepared to send his 6th Indian Division against the last major enemy obstacle to Baghdad. This was an extensive and well-defended position lying east of the Tigris, dominated by the huge facade of the ruined palace of the Persian King Chosroes which sat like 'a giant airship hangar' in the centre of the Turkish lines. Unknown to Townshend, however, the defenders had been strengthened by a fresh Anatolian division before he could begin his attack. While the severe fighting of the first day succeeded in turning the Turks out of both their first and second lines of trenches, with losses of eight guns and 9,000 men (including 1,300 prisoners), this result cost Townshend some 4,500 casualties of his own - about one-third of his force. Not only was Townshend's force too weak to renew the attack the next day, but by that evening he found himself beset by counter-attacks mounted by the Turks. These battles continued on 24 November, and by the following day had gathered impetus from the arrival of still further fresh troops from the Caucasus. 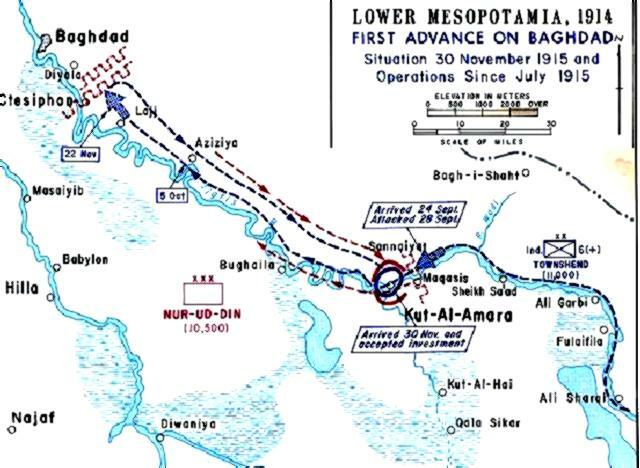 Facing markedly superior enemy numbers, the British had no alternative but to begin a retreat which culminated in defeat at Kut el Amara (see Kut el Amara). The Australian role in this action involved several airmen who were active both in the preparatory phase and during the battle itself. These were members of the Australian Flying Corps serving with No. 30 Squadron, Royal Flying Corps - the new name given to Mesopotamian Flight, RFC, from August. To cut off Baghdad's communication links with outlying bases, a decision was made to attempt to blow up the telegraph line running north and west of the capital. This required an aircraft to fly nearly 100 kilometres from Azizieh to beyond Baghdad, carrying explosives and fuel for the return flight. Official History Map of the Ctesiphon battle. 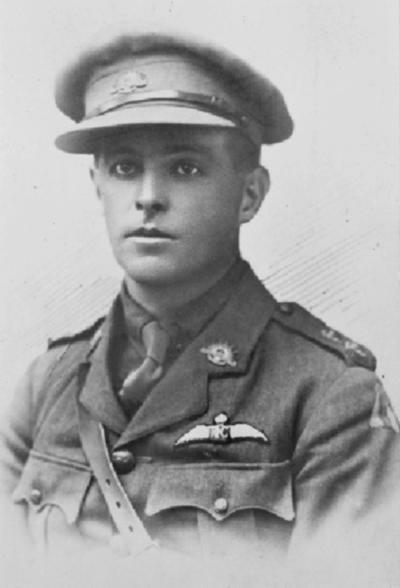 The mission was attempted on 13 November (the day the 6th Division began its forward march) by an aircraft piloted by Captain Thomas White, AFC. The task was successfully accomplished but resulted in the aircraft and its two-man crew being captured on the ground by Turks and Arabs who were unexpectedly encountered in the vicinity. This was particularly unfortunate as White and his observer had noted the presence of large bodies of troops indicating 'apparent reinforcement', which might have given Townshend sufficient forewarning of the difficulties he could expect at Ctesiphon. As a result of White's capture only one AFC pilot remained available to take part in the battle itself. This officer did useful service flying reconnaissance patrols which kept Townshend's headquarters informed of the attack's progress. Extracted from the book produced by Chris Coulthard-Clark, Where Australians Fought - The Encyclopaedia of Australia's Battles, Allen and Unwin, Sydney, 1998, p. 111. F.M. Cutlack, (1923), The Australian Flying Corps in the Western and Eastern Theatres of War 1914 - 1918, Sydney: Angus & Robertson. T.W White, (1928), Guests of the Unspeakable, Sydney: Angus & Robertson.